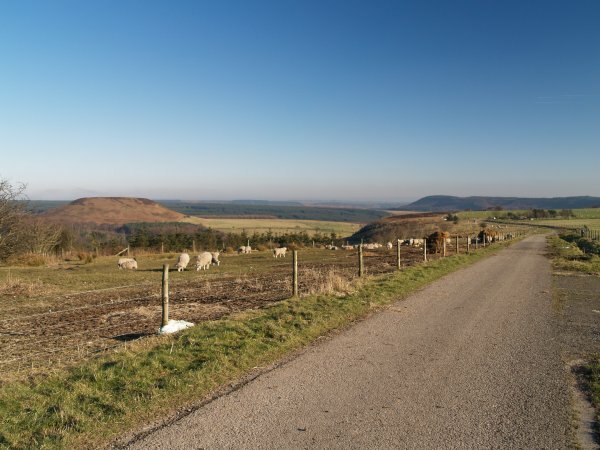 The car park at Saltersgate on the busy A169 Whitby Pickering road, near the famous and geologically scenic Hole of Horcum on the North York Moors, North Yorkshire, England. 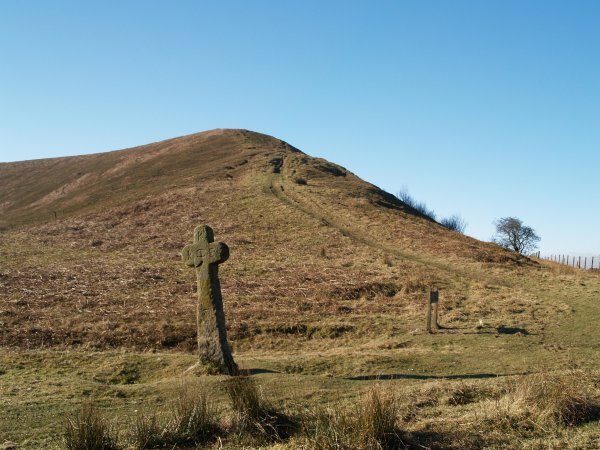 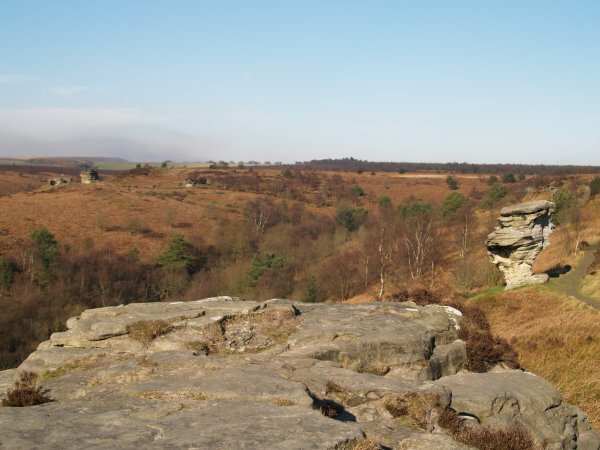 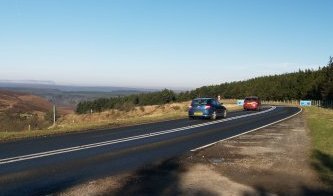 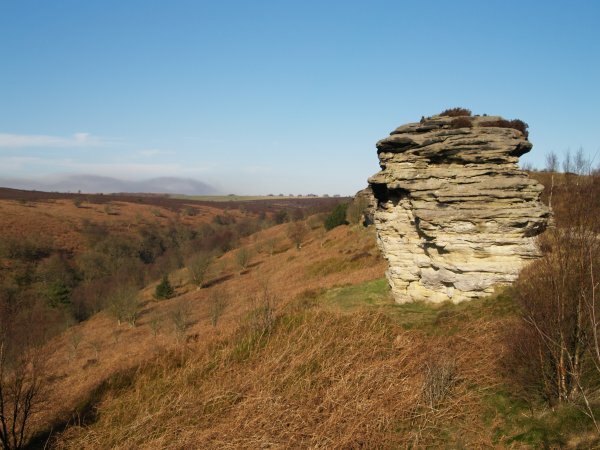 So use the car park-picnic spot above Saltergate Bank from which you can walk to Newton Dale Gorge and peer down on the steam trains of the North Yorkshire Moors Railway, or as here, walk to Malo Cross, Blakey Topping and the Bride Stones. 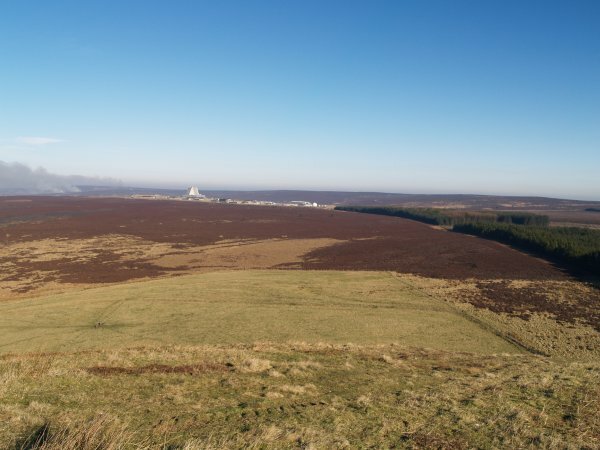 From Saltergate car park you head north-east along the edge of Saltergate Brow towards Malo Cross. 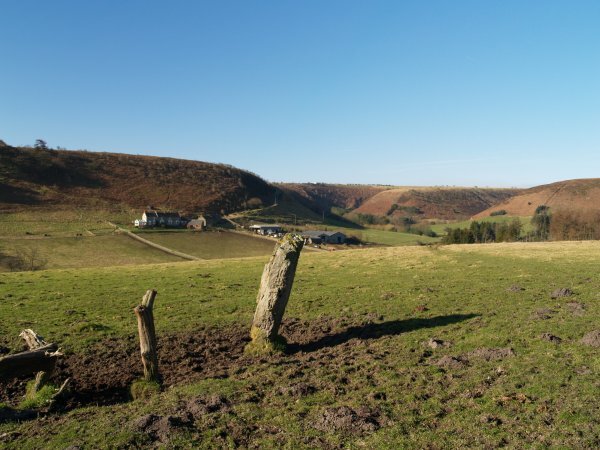 Good views of Fylingdale from the track Saltergate Brow. 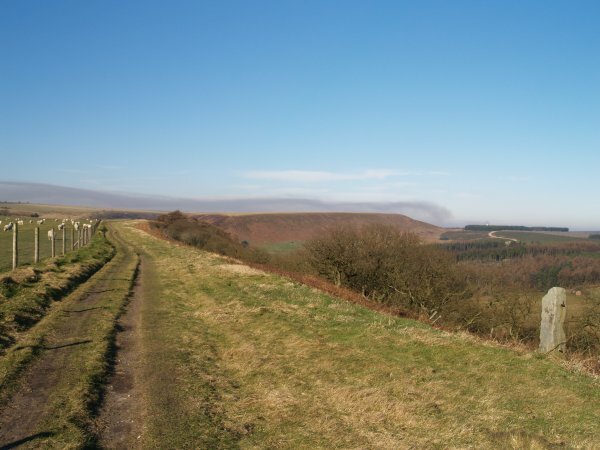 First hazy view of Blakey Topping to the south-east. 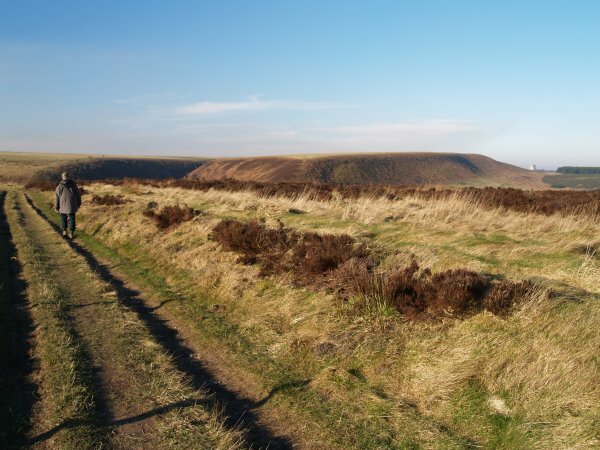 Last view of Fylingdale Moor before descending to Malo Cross. 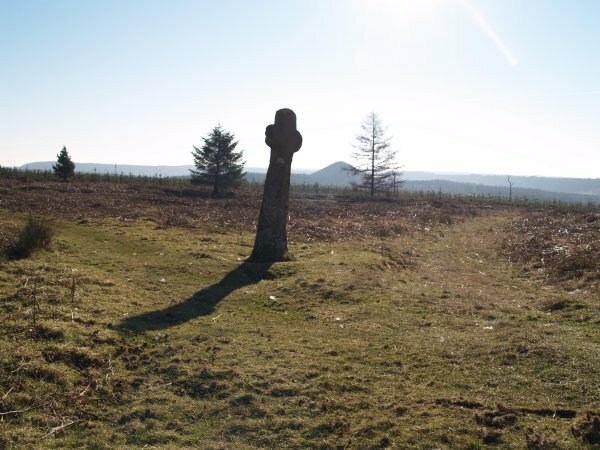 Malo cross with Blakey Topping in the distance (OS grid 867948). 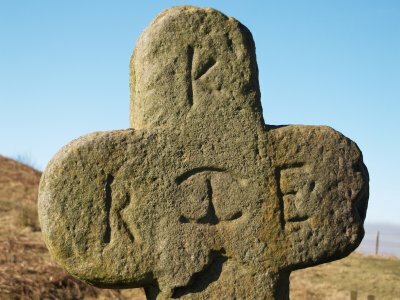 The markings on Malo Cross (R I E and a mason's mark). 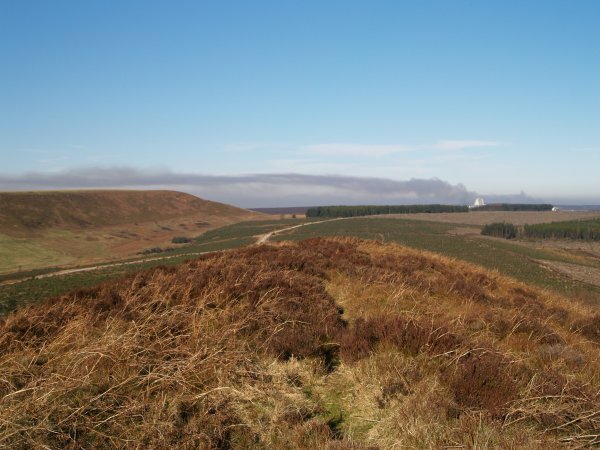 Hazelhead Moor on the left. 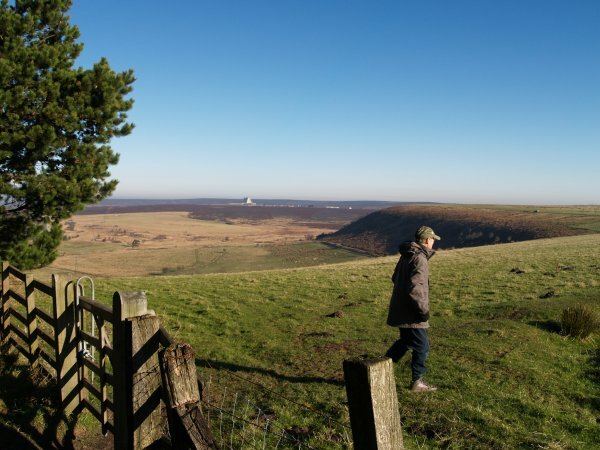 Cargate Nab and the south-eastern edge of Hazelhead Moor. 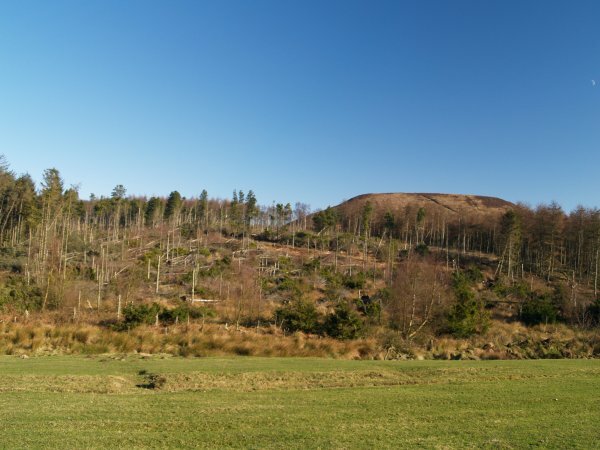 Forest damage from strong winds, Blakey Topping beyond. 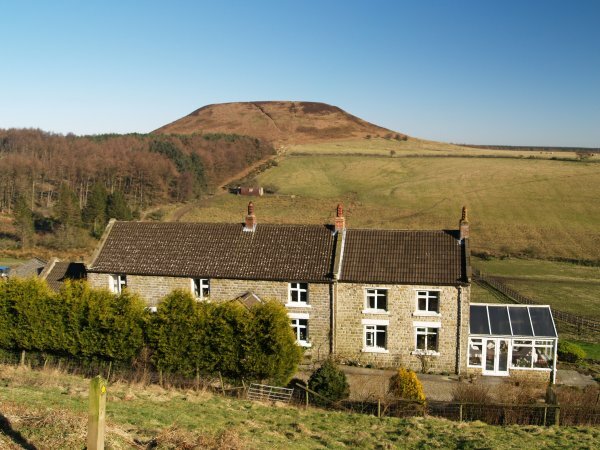 The National Trust property of Crosscliff and Blakey Topping. 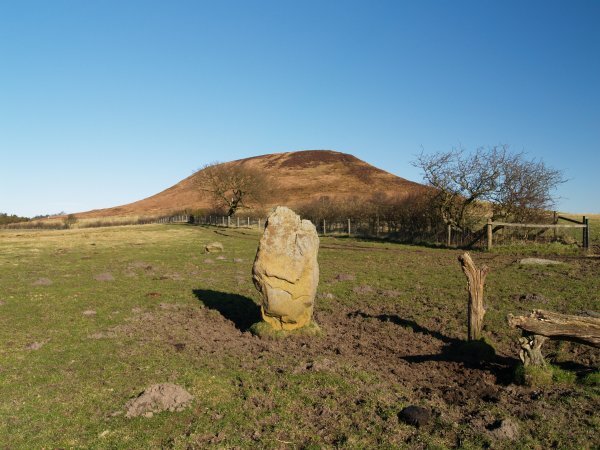 There are some ancient prehistoric standing stones due south of Blakey Topping (in the background), Neolithic or early bronze age? 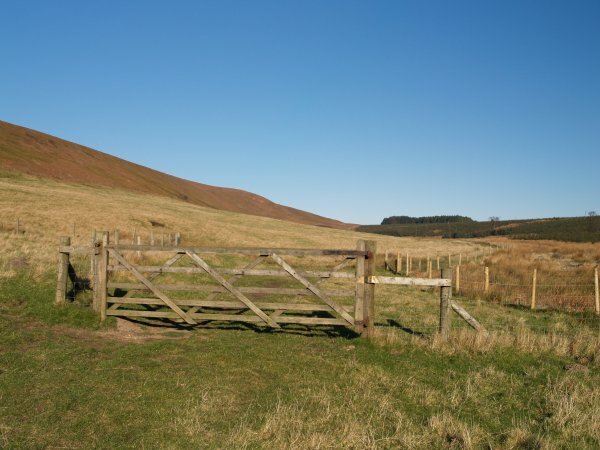 Newgate Foot Farm in the distance. 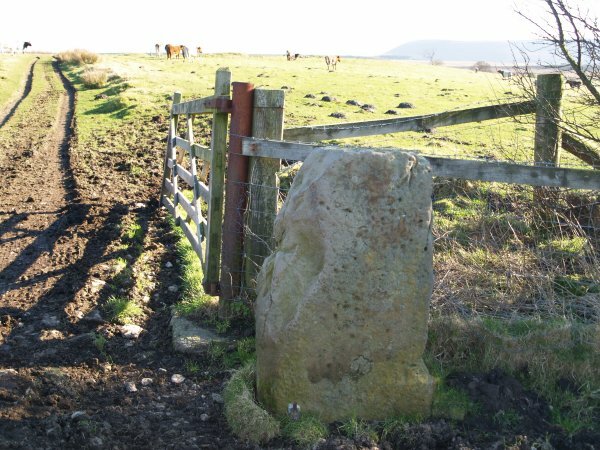 One of the ancient megalithic stones is used as a gatepost! 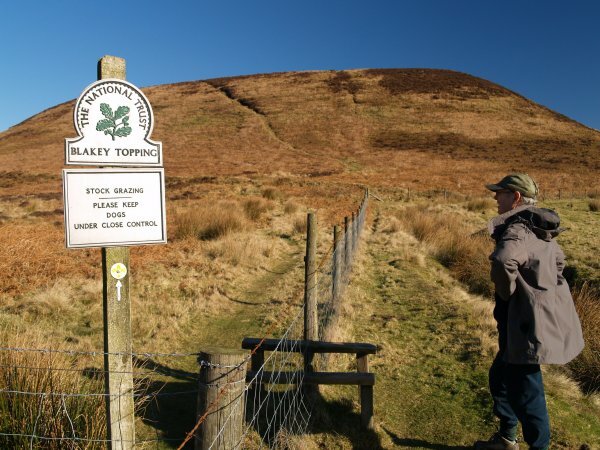 Blakey Topping. 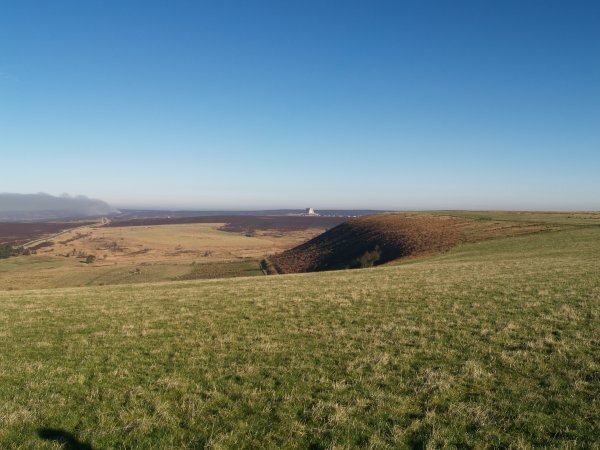 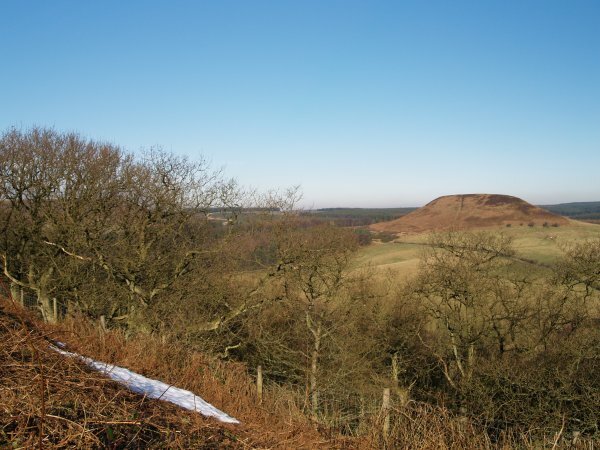 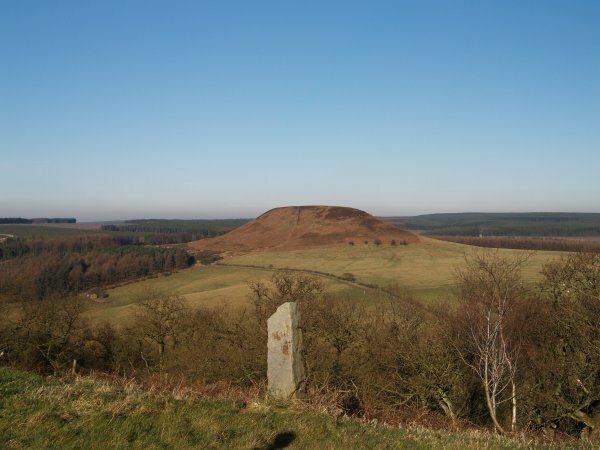 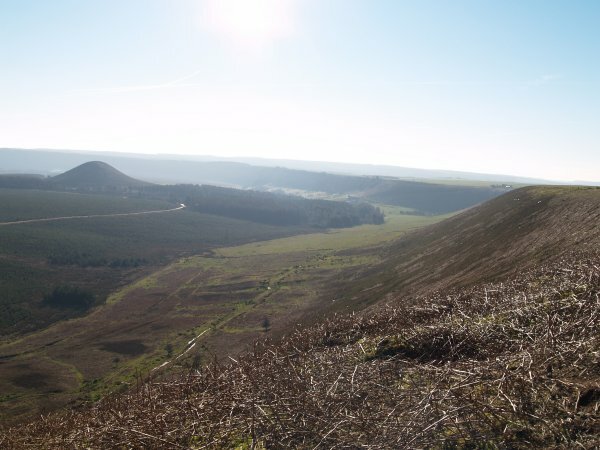 Blakey Topping (OS SE872938) is a wonderful 'picnic spot' hill north-east of Pickering, due east of the Hole of Horcum car park, south-east of Malo Cross and north-east of Newgate Foot farm (bottom left). 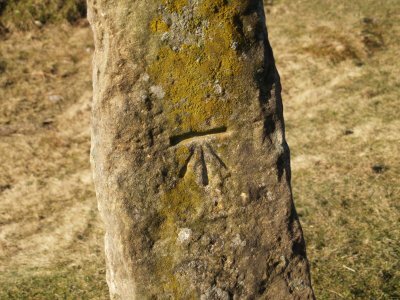 It stands out from many vantage points e.g. 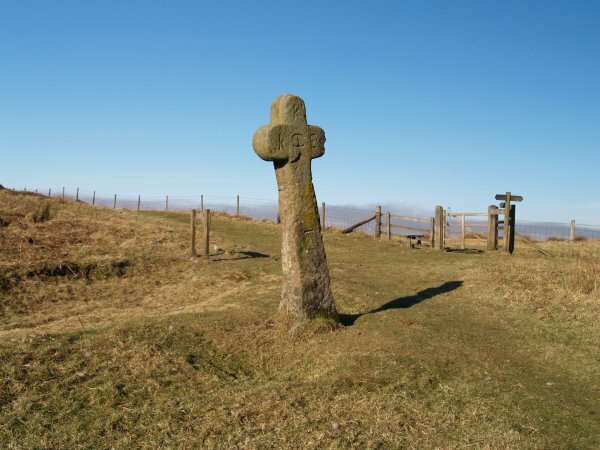 from Malo Cross (top left picture). 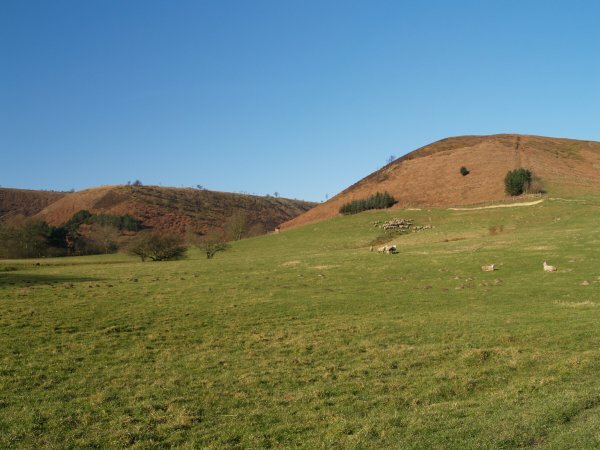 To the south of it are some prehistoric standing stones (above and right). 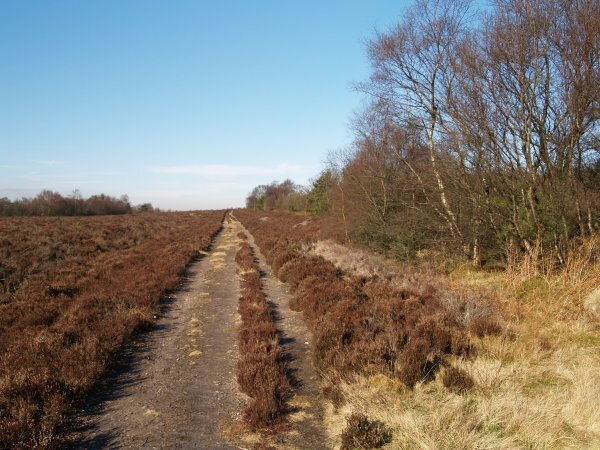 There are several footpaths for great walking in the area. 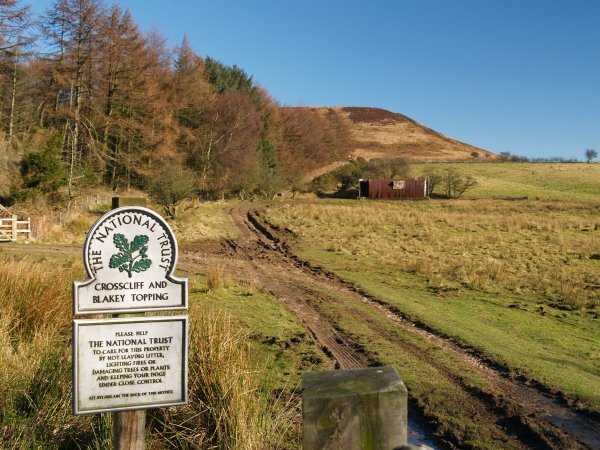 Blakey Topping is also a National Trust Reserve. 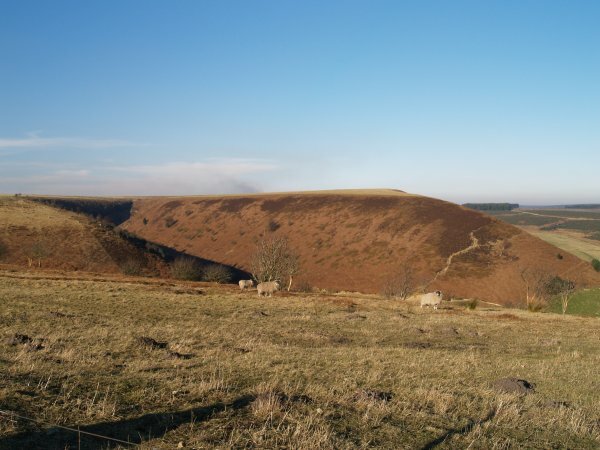 Looking north to Fylingdale Moor from the top of Blakey Topping. 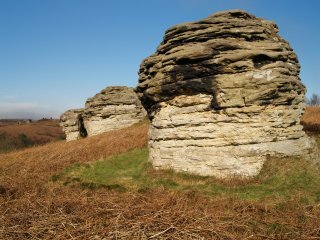 ... and took the track south towards the Low Bride Stones. 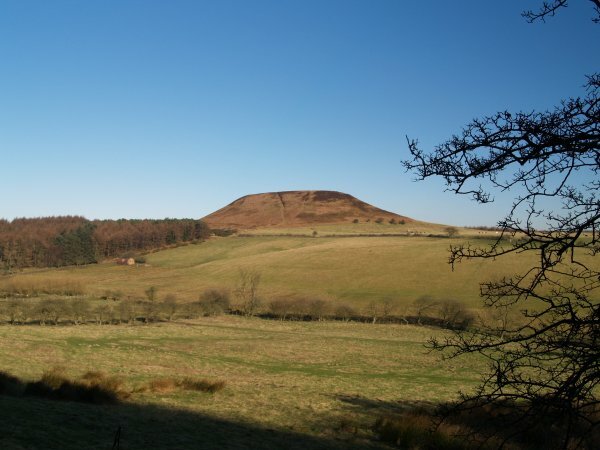 On the track on the eastern edge of Newgate Moor, above Newgate Wood, you get the odd view of Blakey Topping. 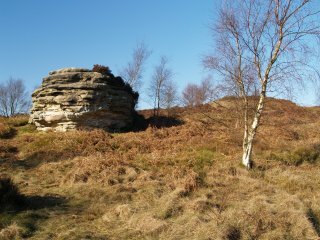 Newgate Moor and Newgate Wood. Eventually you reach Bridestones Moor and walk alongside a prehistoric earthwork - the ditch and bank of the dike are quite clear in places. 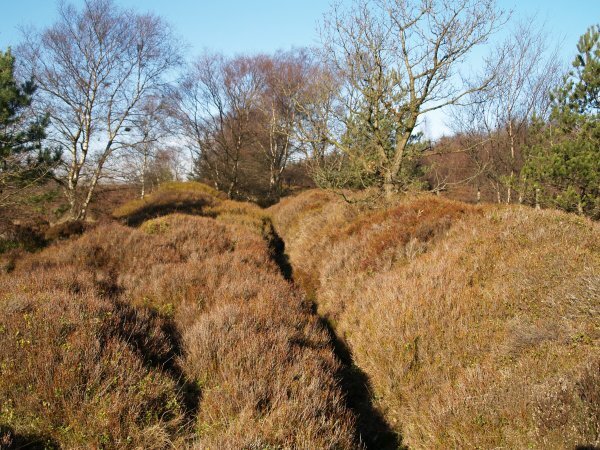 The dike is on the right in the edge of the woodland. 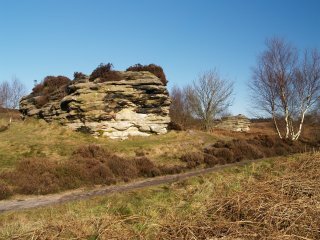 These High Bride Stones and Low Bride Stones north of Pickering are NOT to be confused with the prehistoric High and Low Bride Stones south of Grosmont on Sleights Moor. 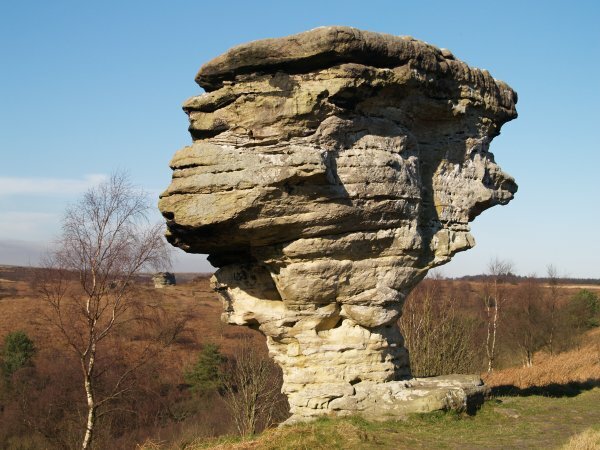 They are formed from sedimentary rocks which have been weathered by wind and rain into these amazing shapes standing out in the wild moorland and heathland. 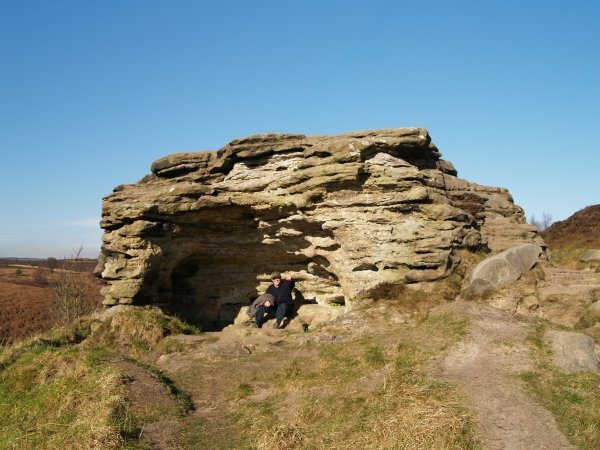 A nice place to shelter and rest for a picnic. 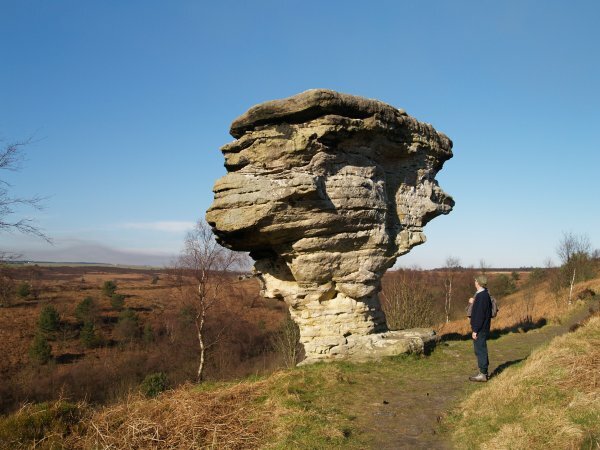 One of the best examples - very geologically aesthetically pleasing! 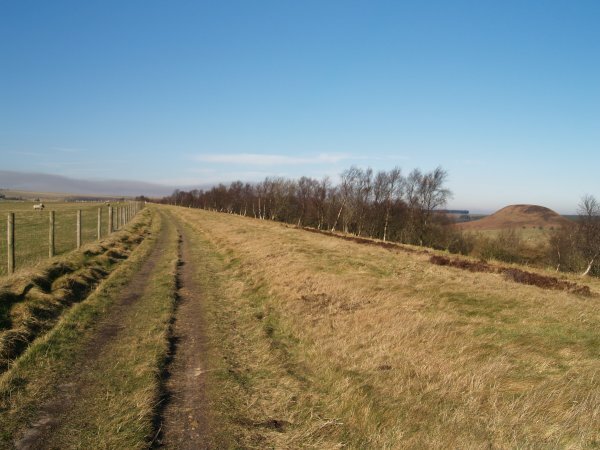 ... and finally headed north-west walking along Old Wife's Way back to the carpark at Saltergate Bank. 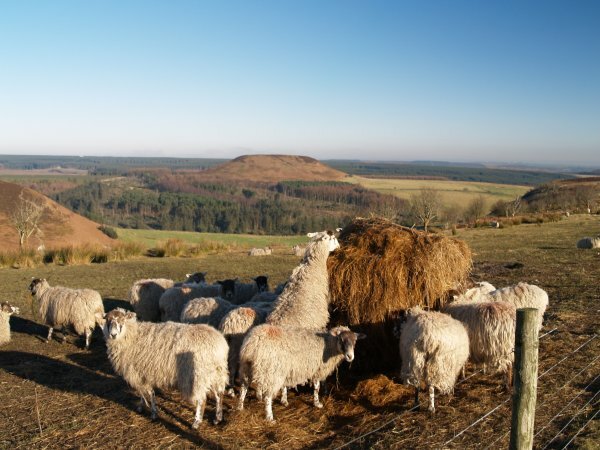 Sheep appreciate a little extra food in the cold weather. You can still see Blakey Topping. 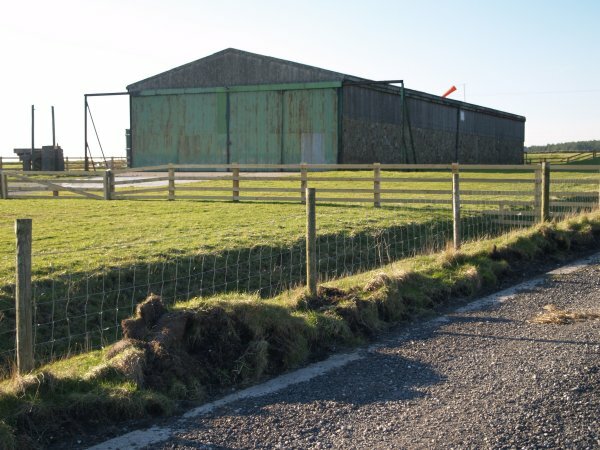 Just before you get back to the car park there seems to be an ex aircraft hanger and a grass airstrip airfield, though nothing is marked on the OS map? 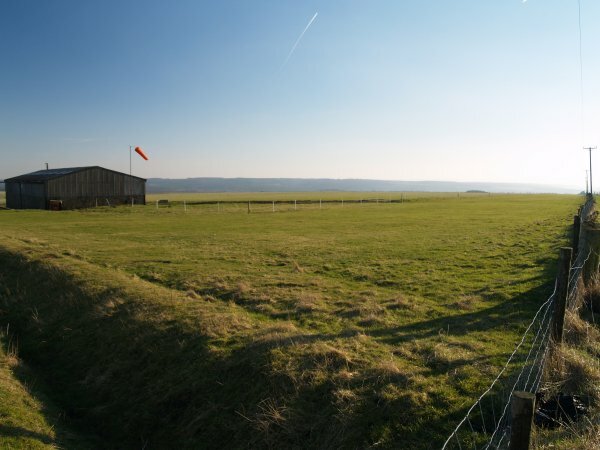 A general view of the 'green field' Asltersgate Airfield for operated by 'Goathland Pilots'. 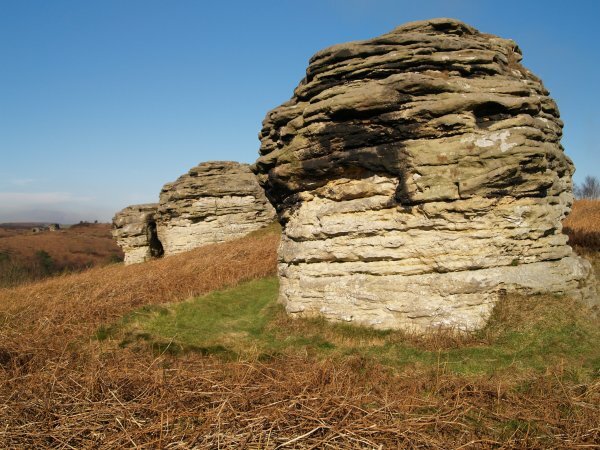 The High and Low Bride Stones (Bridestones), north-east of Pickering, North York Moors National Park, North Yorkshire: The Bridestones, North Yorkshire: The Low Bride Stones and High Bride Stones (OS ~SE874914) are a good picnic spot when out walking north of Dalby Forrest. 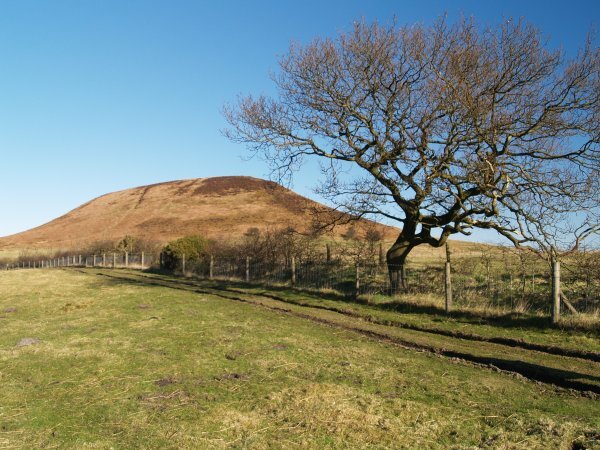 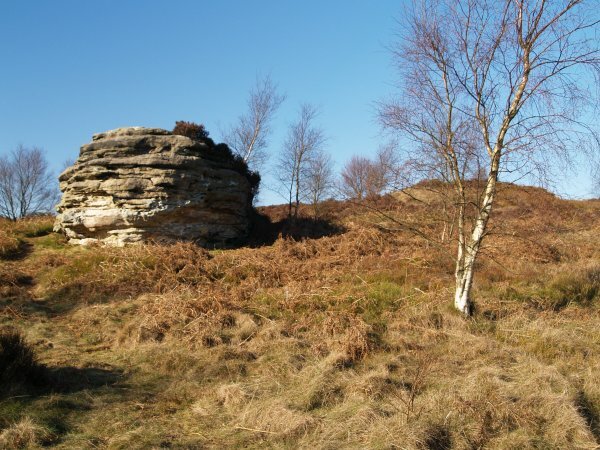 There is a car park north of Adderstone Rigg from which it is a short walk to these remarkable Jurasic sedimentary rock formations shaped by thousands of years of weathering. 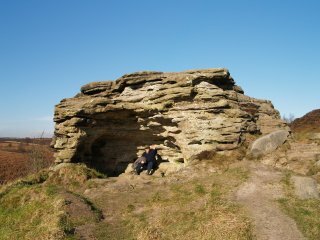 One outcrop has been hollowed out and a seat provided for shelter if needed (right).